Leaves of Mimosa pudica move within a second by mechanistic, thermal, chemical, or other stimuli, which is called as seismonastic movement. Seismonasty evolved at least eight times in Mimosa (Simon et al. 2011). 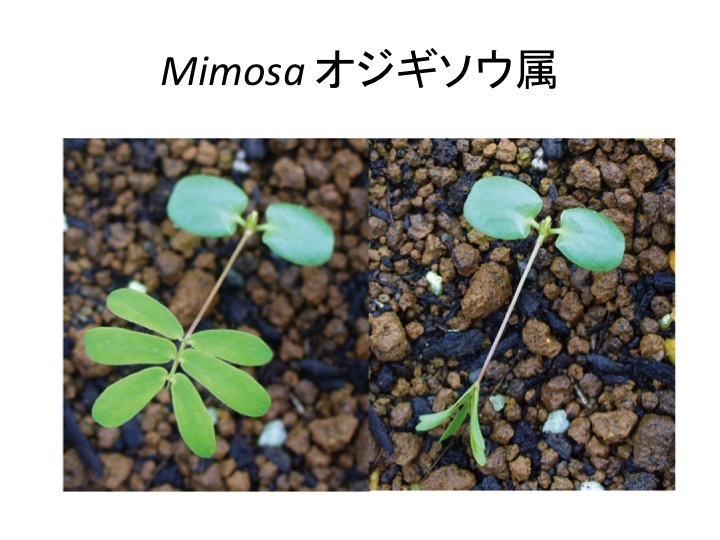 The sensitivity varies between species and multiple Mimosa species move more slowly in some extent (Simon et al. 2011). Seismonasty is proposed to be adaptive as defense strategy: (1) startling or throwing predator insects (Pickard 1973), (2) showing as less voluminous meals (Braam 2004), (3) disappearing from the view (Eisner 1981), and (4) pronounced increase in thorn exposure (Eisner 1981). When M. pudica and non-motile Mimosa species are planted side by side, the latter suffered more severely than the former did (Pickard 1973). Time to reopen leaves decreased in proportion to the decrease of photosynthetically active radiation (Jensen et al. 2011). This is interpreted that M. pudica accepts greater risk when energetically stressed as animals do (Jensen et al. 2011). How is such system operated at the molecular level? Braam, J. (2005). In touch: plant responses to mechanical stimuli. New Phytol. 165, 373-389. Eisner, T. (1981). 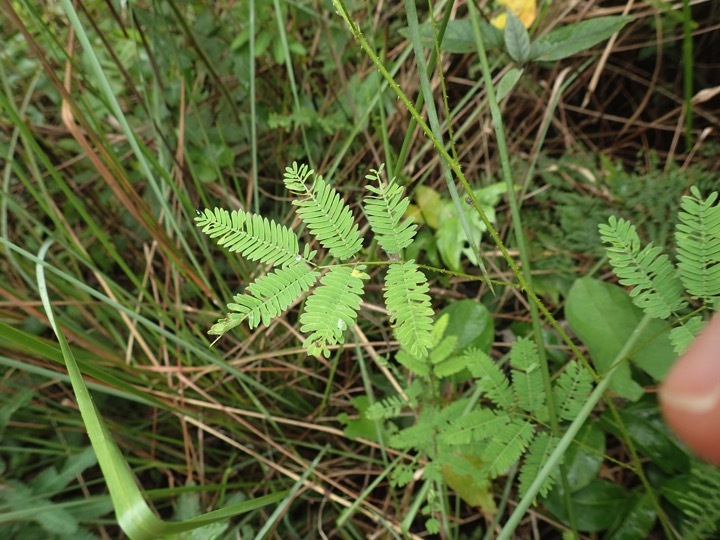 Leaf folding in a sensitive plant: A defensive thorn-exposure mechanism? Proc. Natl. Acad. Sci. USA 78, 402-404. Jensen, E.L., Dill, L.M., and Cahill, J.F., Jr. (2011). 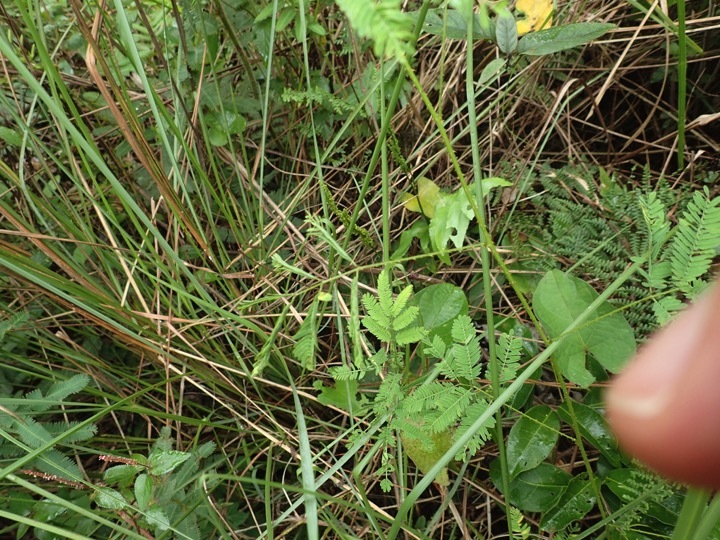 Applying behavioral-ecological theory to plant defense: light-dependent movement in Mimosa pudica suggests a trade-off between predation risk and energetic reward. Am Nat 177, 377-381. Pickard, B.G. 1973. Action potentials in higher plants. Bot. Rev. 39: 172-201. Simon, M.F., Grether, R., de Queiroz, L.P., Sarkinen, T.E., Dutra, V.F., and Hughes, C.E. (2011). The evolutionary history of Mimosa (Leguminosae): toward a phylogeny of the sensitive plants. Am. J. Bot. 98, 1201-1221. The leaf disappeared from the view.